Nice to see what the cold and messy weather attracts to our fine storage facility each winter. It may look full — and the ground floor is — but there’s plenty of room on the mezzanine! Let us take professional care of your special vehicles with daily monitoring, trickle charging, special care requests, whatever it takes! 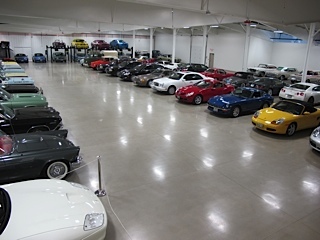 As much as Portland Motor Club is set up for year-round membership, we also provide seasonal and short-term storage — even when you’re going on vacation or on a business trip! Why not have us detail your car while you’re away at our truly outstanding auto reconditioning facility (www.PortlandDetailing.com) and pay only $10 per day for professional, heated storage. We’re only about 10 minutes from the airport so you can grab a cab or we might even be able to help get you over there and back (depending on availability and timing). We’re here and happy to help you take care of your car — it’s what we do! Portland Motor Club was designed as a “good home for good cars”, a place where cars live most of the time unless they’re out for a drive or a season. However, while we search for all those vehicles to find their permanent homes (there are 140 spaces, afterall! ), we can offer seasonal storage which, for the most part in Maine, means WINTER STORAGE. 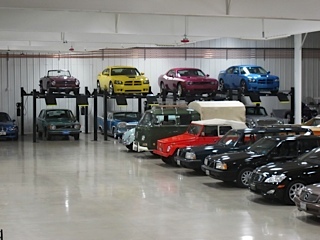 Although our winter storage plan does not come with the kind of access our members enjoy year-round, winter-stored cars do enjoy heated, climate- and humidity-controlled accommodations with advanced security and monitoring systems to protect them. Check around — a lot of winter storage is vastly inferior with crowded conditions (leading to dings and dents), free-range critters gnawing on wires (we hear it all the time), and condensation occurring from cold floors and warmer air (a death-sentence for the integrity of metal). You might save a few hundred dollars by storing your car in a chicken barn or jammed into the corner of a warehouse, but the risks and costs associated with cutting corners can often come back and bite you in the bumper! We’re just saying… we were built to take the very best care of your very best car. 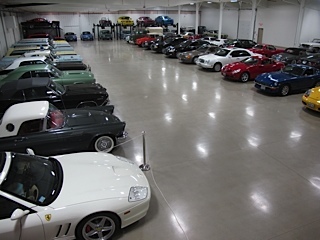 We are still accepting month-to-month or over-winter storage. Please call Portland Motor Club about securely storing your vehicle with us this winter. 207-775-1770.